FRIDAY, Sept. 23, 2016 (HealthDay News) -- Don't let this year's flu season catch you by surprise. Experts say an annual flu shot is the best way to avoid the aches, fever, congestion and fatigue that flu brings -- and to protect those who are at high risk for flu-related complications. "Every year, people die from influenza," said Cindy Weston, an assistant professor of nursing at Texas A&M University. "After sizable outbreaks, people will respond with large amounts of vaccinations, but they should be getting vaccinated every year to protect those most vulnerable, mainly children and the elderly." Now that it's fall, it's time for your shot. Babies less than 8 months old may need to get the vaccine in two doses. And people over age 65 should get the high-dose shot. Adults with severe egg allergies can get an alternative form of protection called Flublok, according to the CDC. Some people may have allergies so severe they can't get the shot at all. "[They] are dependent upon everyone else getting immunized in order to stay at low risk for the flu," Weston said. For healthy adults, the flu may seem like a relatively minor inconvenience, and some go out of their way to avoid vaccination. Some fear the shot will give them the flu -- not true. Others dread the inevitable needle sting. (FluMist, the nasal flu vaccine, was found to be ineffective and is not recommended.) And some may believe a shot isn't necessary now, because they had one last year. That's just not true, Weston said. "The flu strain mutates every year," she explained. "The flu shot you get this year is different from the one you got last year because it is made specifically for the prominent strains of the virus." 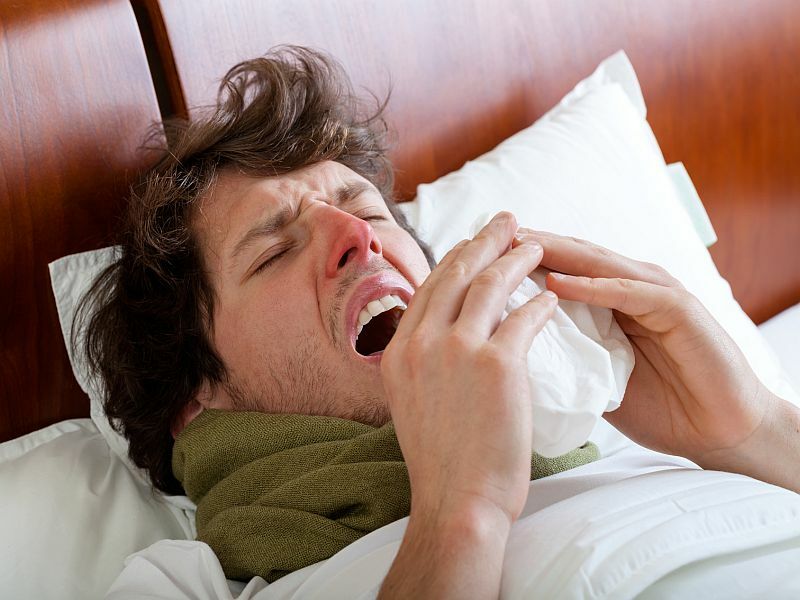 "Flu season typically lasts from fall to spring," Weston said. "The outbreak may peak at various times during those seasons, but people should be vaccinated before they return home for the holidays to prevent an outbreak." "Washing your hands properly, covering your cough, avoid[ing] hand contact with your face and eyes, and wiping down surfaces with disinfectant are all ways to help stop the spread of the flu," Weston said. "The best way to avoid the flu is to get vaccinated," Weston said. "When it comes to you and your family's health, it's best to take the cautious approach and get your shot."